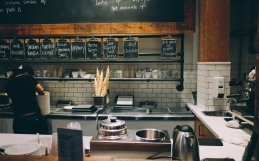 Why Choose Stainless Steel Shelving For Your Restaurant Kitchen? Home / Commercial Fabrication / Why Choose Stainless Steel Shelving For Your Restaurant Kitchen? For restaurant owners, stainless steel is one of the best materials to build into a kitchen for a variety of reasons. Stainless looks great, is low maintenance, and is easy to clean and sterilize. Stainless steel is also highly resistant to corrosion. During restaurant construction, many establishments choose to invest in stainless steel shelving because it is very durable material without being prohibitively heavy. Best of all, stainless steel is highly versatile. The metal can be easily formed into any shape or thickness you need from thick plates and bars to a thin wire, sheets, and tubing. It can even be used to make restaurant-grade cookware and cutlery! Stainless steel is a low carbon steel made with chromium, the unique property that gives stainless steel its ability to resist stains and corrosion. 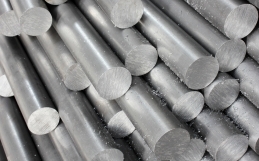 The addition of chromium to the steel allows stainless steel to heal itself. The chromium accomplishes this by reacting with the steel to form an invisible layer of chromium oxide film on the surface of the steel which allows the steel to “heal itself” as long as it is exposed to oxygen. As long as it is exposed to oxygen, stainless steel can heal itself even after chemical or mechanical damage! Also, elements like nickel and molybdenum are added to the steel to help increase its corrosion resistant properties. 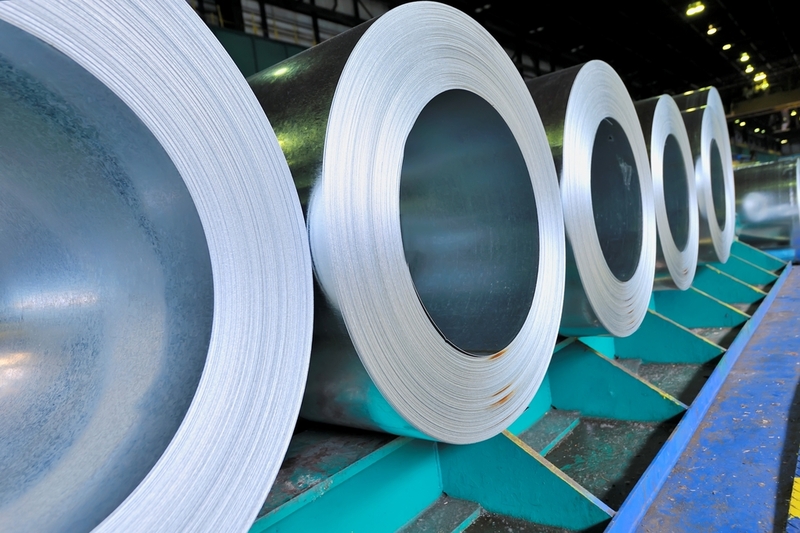 Over 60 different varieties of stainless steel are available for purchase, depending on the elements added to the steel, all with different strength and corrosion resistant properties. Why Choose Stainless Steel Shelving For A Restaurant? The invisible layer of chromium oxide that protects stainless steel makes stainless steel shelving easier to clean and also maintain sanitary standards. Particularly for businesses where hygiene is a priority, as in a restaurant or a hospital, stainless steel shelving provides an extra layer of hygienic protection. In addition to its hygienic properties, stainless steel is also one of the most durable, cost-effective materials on the market. The high strength-to-weight advantage of stainless steel over other metals ensures that thinner shelving is just as durable as shelves made using thicker cuts of other types of metal. The option to choose thin-cut stainless steel shelving over thick cut metal shelves also helps lower the overall cost of the shelving as it can be fabricated with less material. Stainless steel is endlessly customizable and comes in all different shapes and thicknesses. Being able to vary shelf thickness and shape without sacrificing durability or hygiene means that it is easier to fashion shelves that are not only functional but aesthetically pleasing to your customers as well! Looking To Purchase Restaurant-Grade Stainless Steel Shelving? 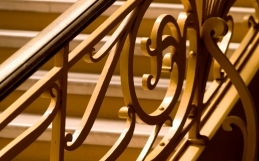 CE Metal Fabrication specializes in the fabrication of stainless steel for commercial, industrial and decorative uses. Contact us today to get an estimate for all your metal fabrication needs! Christiansen Enterprises has enhanced its industrial facilities and fabrication equipment at The Port of Kalama to better serve new clients in manufacturing, construction, and other industries. It is our commitment training, rigorous quality assurance process, and smart use of technology that propels our products and services to excellence. We also put a concerted effort into ensuring the safety of our employees. What is a Commercial Metal Fabricator Capable Of?